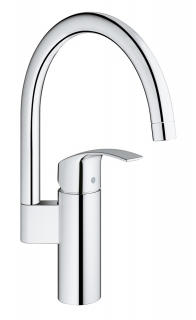 The Grohe Eurosmart New kitchen tap has it all: smart looks, smart technology and a smart price! Featuring a solid metal ergonomic handle and incorporating Grohe's SilkMove cartridge technology, the Eurosmart kitchen mixer delivers smooth water volume and temperature control and movement in all directions. 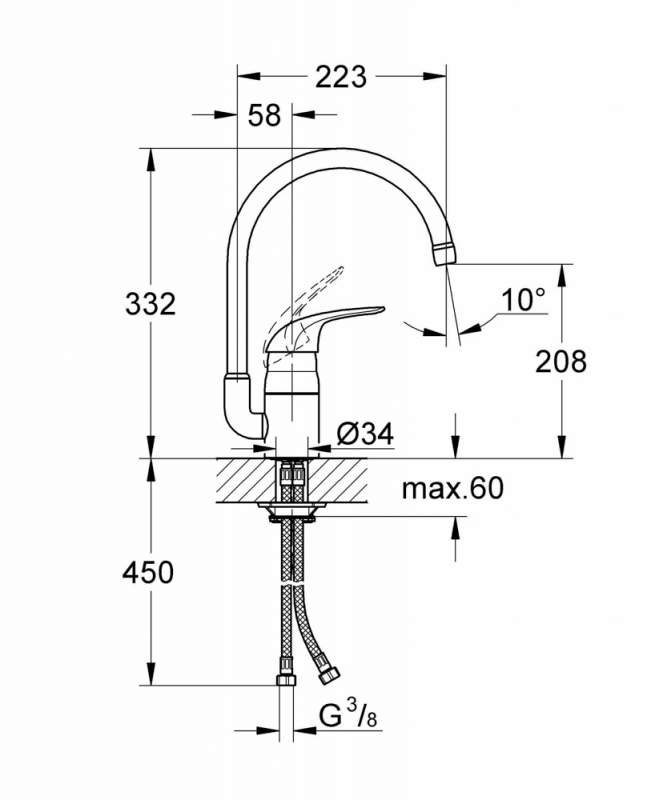 The fluid design high spout is ideal for cleaning or filling tall pots and has a convenient 360° swivel range for maximum flexibility. 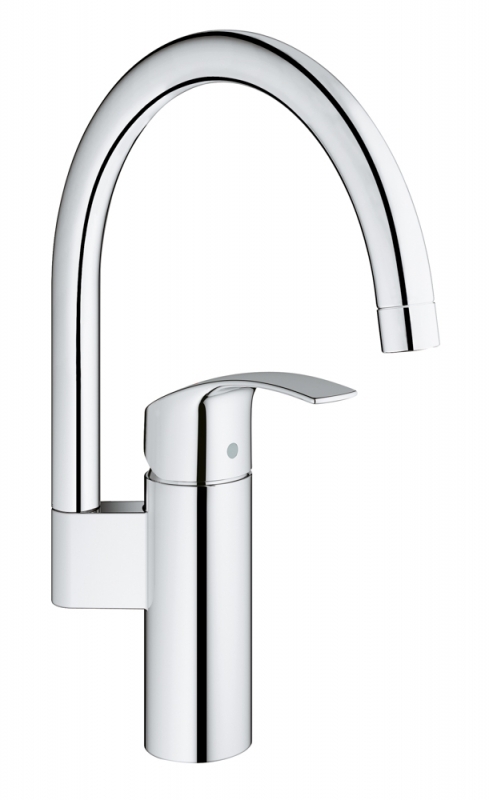 Finished in Grohe Starlight chrome, the Eurosmart New kitchen mixer has a radiant, brilliant shine that's durable and easy to clean. 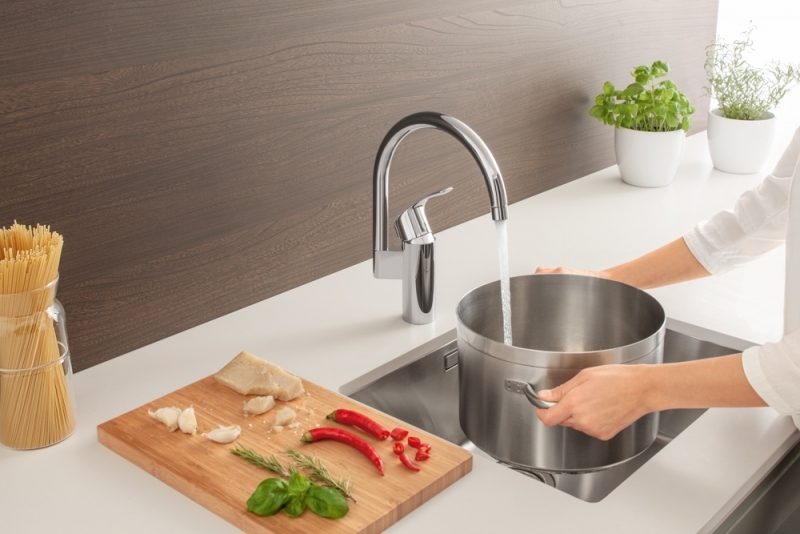 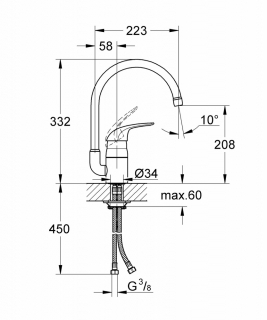 Quick and easy to install, the Grohe Eurosmart New kitchen tap just needs mounting and attaching and you'll be ready to go.